There was some bad news for the league leaders, however, as goalkeeper Manuel Neuer was forced off with a calf injury early in the second half. Elsewhere on Sunday, Eintracht Frankfurt suffered their first league defeat of 2019 and Hoffenheim climbed back into the top six. Arsenal loanee Reiss Nelson scored his first goal since November as Hoffenheim beat Hertha Berlin 2-0. Nelson, 19, came off the bench to add to Nadiem Amiri's first-half opener and seal three crucial points in the race for European qualification. Amiri broke the deadlock near the half-hour mark, smashing the ball in off the post with his side's 14th shot on goal. Nelson's 78th-minute header, which was given by VAR after being initially ruled out for offside, sealed the win for Hoffenheim. "It was a good performance from all of us, and I'm pleased that my goal was given," Nelson told the club website. New Augsburg coach Martin Schmidt got off to a winning start with a shock 3-1 victory over fourth-place Eintracht Frankfurt. Goncalo Paciencia headed Frankfurt into an early lead, but Marco Richter scored two splendid goals to turn the game on its head before half-time. 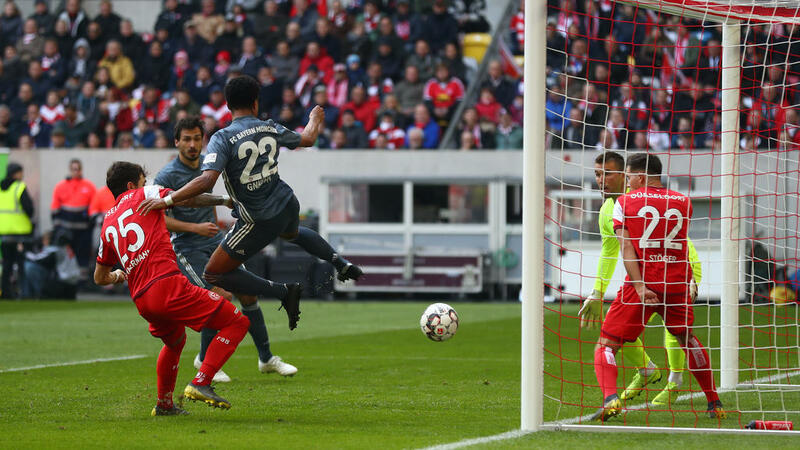 Frankfurt's troubles deepened when captain Gelson Fernandes was sent off early in the second half, and Michael Gregoritsch landed the killer blow for Augsburg six minutes from time. "I am speechless about the way we played today," a delighted Schmidt told Sky. Victory sees Augsburg pull seven points clear of the bottom three, while Frankfurt now sit just a point clear of fellow Champions League hopefuls Borussia Moenchengladbach.